Clinic Synopsis: This session will focus on the physical motions that lead to quality core tone in an orchestra. Common problems with posture, bow hold, bow arm motion, bow strokes, and ensemble will be addressed, and solutions to address the causes of these problems will be described. Clinician Biographical Information Michael Hopkins is Associate Professor and Chair of Music Education at the University of Michigan in Ann Arbor, where he teaches courses in string techniques, orchestra methods, research methods, and the psychology of music. Prior to joining the U-M faculty, Hopkins was the conductor of the University of Vermont Symphony Orchestra, and directed middle and high school orchestras in Colorado, Michigan, and Vermont. 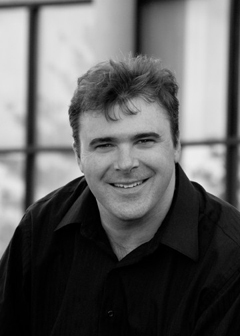 He is the founding director of the Burlington Chamber Orchestra and has been a guest conductor at over 100 orchestra festivals and clinics throughout the United States. He has composed and arranged over 70 published works for orchestra and has published articles in the Journal of Research in Music Education, International Journal of Music Education, American String Teacher, String Research Journal, the Music Educators' Journal and The Instrumentalist. He is the author of the String Technique Youtube channel, a resource with over 100 videos. He is in his 7th year as the director of the Michigan String Educators' Workshop, and has given over 60 presentations at national and state music education conferences on various topics in string education and music technology. He was the founding executive director of the Green Mountain Chamber Music Festival, is past president of the Vermont chapter of ASTA, and is currently president elect of Michigan ASTA. Hopkins received his Bachelor's Degree in music education from Colorado State University and his Masters and Ph.D. in music education from the University of Michigan.